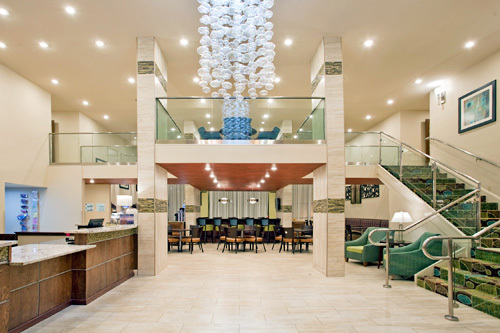 Located on the iconic 76 Strip in the heart of the entertainment district, the Holiday Inn Express Hotel & Suites–76 Central offers family-friendly accommodations near top area attractions. 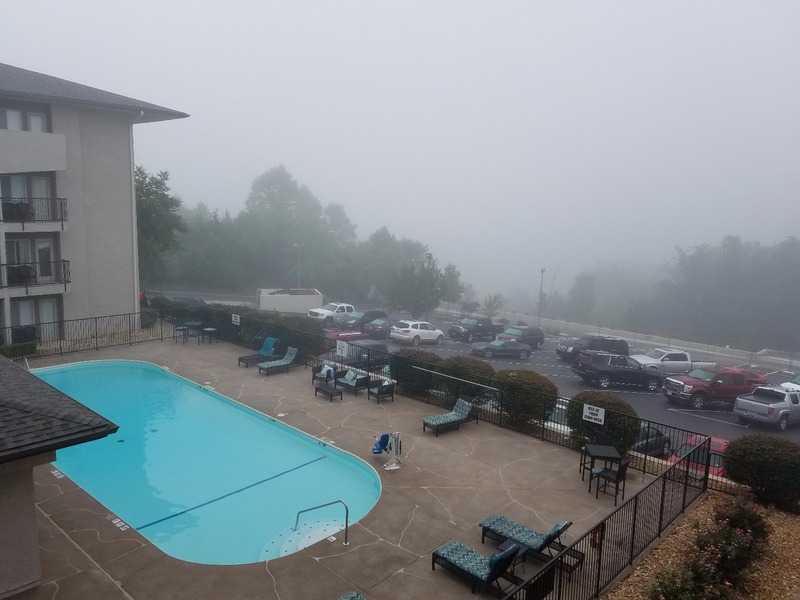 Guests can enjoy a large outdoor heated pool (open seasonally) and an indoor heated hot tub with stunning views of the Ozark Mountains, a fitness center, complimentary breakfast, free Wi-Fi, and more. Located on Branson's 76 Strip, 6.9 miles from the Silver Dollar City theme park. Hotel within walking distance of both shows and restaurants. 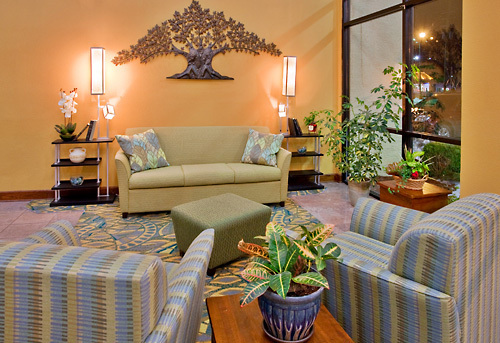 Rooms feature mountain-view balconies, flat-screen TVs, and free Wi-Fi. 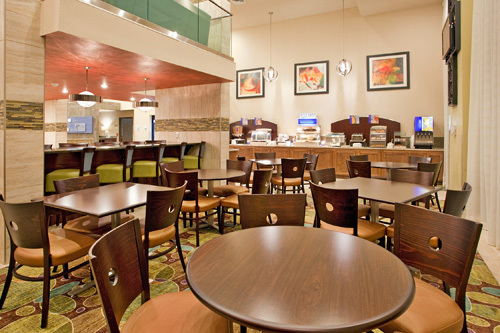 Enjoy the complimentary breakfast bar, 24-hour fitness center, seasonal outdoor pool, and indoor hot tub. We have brand new Double Queen Rooms with triple sheet bedding and are conveniently located on the "Strip" right in the heart of Branson. 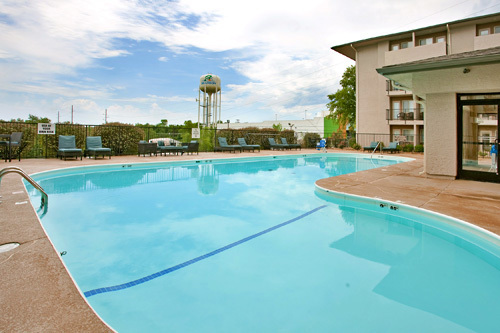 We offer a seasonal outdoor heated pool and indoor hot tub, and a complimentary Express Start hot breakfast. 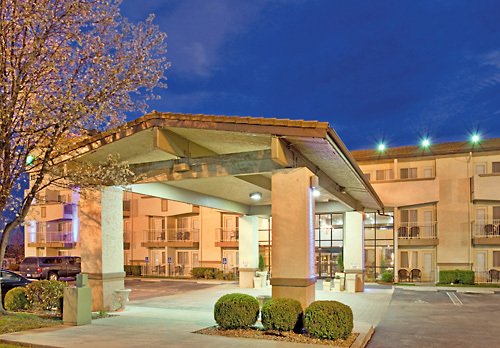 Enjoy a convenient hotel location with attractions, theaters, and shopping all within walking distance. This property includes indoor corridors, elevators, WiFi, AM/FM clock radio, hair dryers and coffee makers in room. 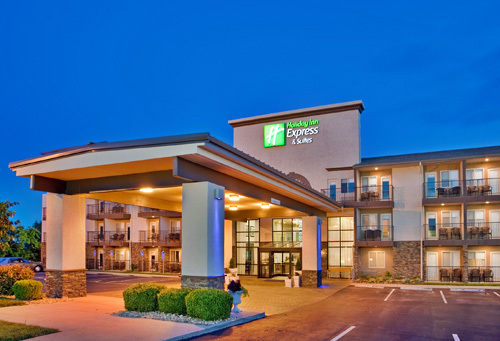 How many rooms are available at Holiday Inn Express Hotel & Suites? There are a total of 144 rooms, 24 of which are suites. 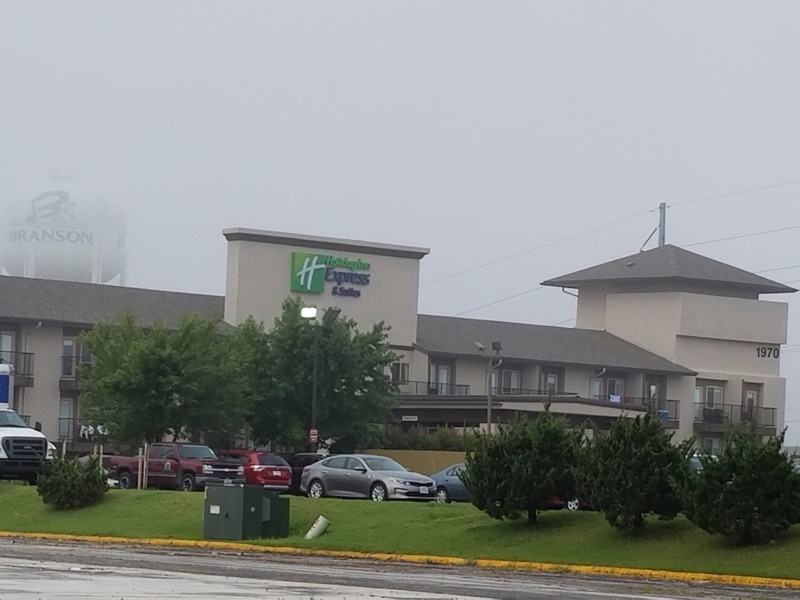 How many adjoining rooms are available at the Holiday Inn Express? There are 8 adjoining rooms (upon availability). There are a total of 5 floors. 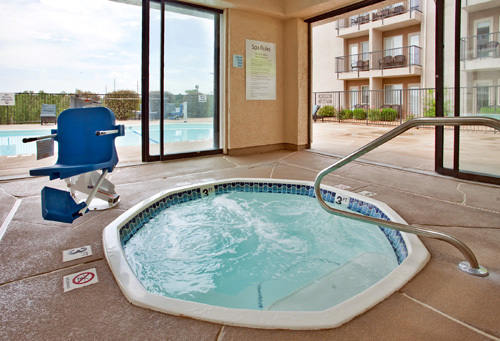 What are your pool hours at the Holiday Inn Express? 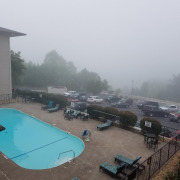 The pool is open from 9:00 am - 10:00 pm. Yes, we are located on Hwy. 76 - The Strip - and there are several entertainment and dining options within walking distance. Do you have a minimum age required for check-in at the Holiday Inn? Yes, guests must be 18 years of age or older to check-in. There is no charge for these items. 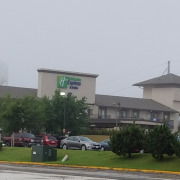 The Holiday Inn has an open parking policy and it is free to guests. Is the property smoke-free or can guests smoke in some rooms? We are a 100% non-smoking property. 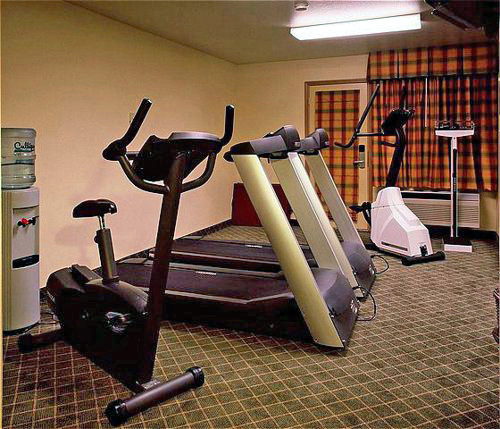 Do you have an exercise room? Is parking included in price? 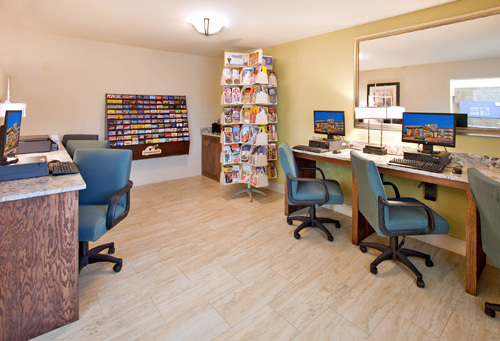 Do you offer Internet access in all rooms at the Holiday Inn? Other than certified service animals, we do not allow pets.